California faces major changes in its water supply. The sooner everyone realizes these changes are coming, the better the state will be able to cope with what lies ahead. Today’s changes are driven by efforts to end groundwater depletion, by sea level rise and loss of snowpack, salts and nitrate accumulating in groundwater, new invasive species, population growth and California’s globalized economy and agriculture. 1. The Sacramento-San Joaquin Delta will export less water and some islands will flood. 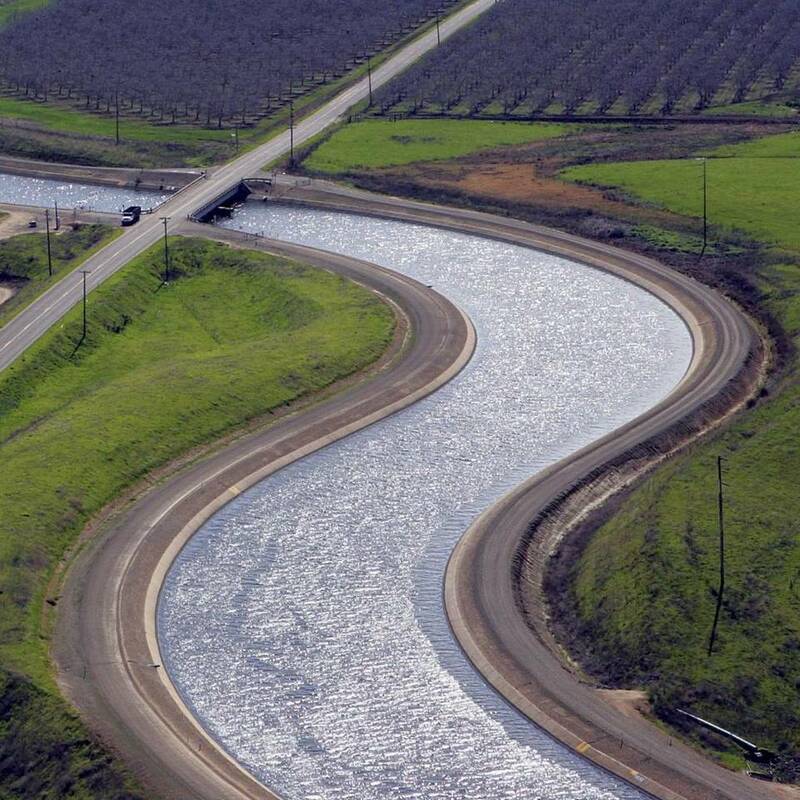 The Delta will remain California’s most difficult water problem. Some deeply subsided Delta islands and levees are financially unsustainable and will flood without large state subsidies. With land subsidence, sea level rise, increasing seepage and chance of earthquakes, their agricultural value is limited and repair costs are high. Environmental requirements already reduce Delta water diversions. New flow requirements and climate changes are likely to further reduce water diversions upstream and within the Delta. Ending groundwater overdraft will increase demands for Delta water. 2. The San Joaquin Valley will have less irrigated land. The southern Central Valley is a huge productive agricultural region that relies on water from Delta imports, groundwater overdraft and San Joaquin River diversions. Reductions in these sources will decrease availability by 1.5 million to 4 million acre-feet per year, requiring the fallowing of 500,000 to 1 million acres of its 5 million irrigated acres. Some of this land will be retired due to salinization and urbanization. Continued shifts to higher-value crops, especially orchards, will help maintain agricultural revenues and jobs, as they have during the drought. 3. Urban areas will use less water, reuse more wastewater and capture more stormwater. Water supply risks and costs will drive cities to use less and capture more water. These changes will improve supply reliability and free some water for agriculture and environmental uses, at some cost. But not all actions are equally effective. Water conservation, reuse and stormwater capture are all effective in coastal areas, which drain to the sea. Reducing landscape irrigation is more effective for inland conservation. 4. Some wild native species will become unsustainable. A warmer climate, combined with continued stress on water and land, and the dilution of wild genetic stock by hatchery fish, will make some native fish species unsustainable in the wild, despite concerted restoration efforts. Native plants and animals throughout California face similar risks. Not all can be expected to survive. This challenges our endangered-species laws and demands more attention to effective ecosystem management. 5. Water solutions and funding will become more local and regional. As federal and state governments face diminished funding and capability, local and regional agencies will become more central to solving water problems. Making state and federal regulations more effective and supportive of local and statewide interests in public health, the economy and environmental protection is a major challenge. 6. Water will be managed more tightly. California’s 2014 groundwater legislation will require many areas to account for and manage groundwater, and all water, more closely. Less cumbersome court procedures, groundwater rights and water-accounting practices are needed. Tighter accounting will make water rights more valuable and make groundwater more sustainable, but will add some costs. Change is never easy, and responding to these changes will be hard but will ultimately improve the sustainability of California’s ecosystems and water supplies. Most solutions will be funded and implemented by local and regional governments. State agencies must support them with transparent, workable water-accounting and legal authorities, and represent statewide environmental and health interests. Thoughtfully preparing for the inevitable changes in water policy will be messy, but it is needed to support California’s environment and economy. Jay Lund is the Director of the Center for Watershed Sciences and Professor of Civil and Environmental Engineering at the University of California – Davis.